Novel technological, financial and behavior change approaches to sanitation have grown rapidly in the past 10 years. Much progress has been made in eliminating open defecation – an enormous public and environmental health hazard – and significant effort is being devoted to developing technologies for safe waste disposal without the need for extensive sewerage. The Blum Center’s TriSan project goes beyond the bowl with a focus on the twin goals of sustainable sanitation and gender equality. We recognize that women and girls are disproportionately affected by inadequate access to safe and dignified sanitation, and that this lack of access, security and dignity impacts not only their private home hygiene, but also their everyday public lives. Gender equality needs sanitation equality. Developing and piloting sustainable sanitation interventions that meet the full needs of women and girls. 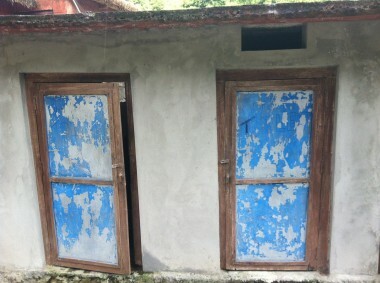 While increased attention has been placed on novel latrine designs, behavior change, and disposal of feces and urine, more research is needed not only to improve MHM systems but also to operationalize the unique aspects of toilet usage that disproportionately affect women and girls. The last decade has seen a renewed emphasis in the sanitation field to expand access to marginalized and impoverished communities, while increasing the use of objective measures of the environmental and public health impacts. Yet experts agree that meeting the full sanitation needs of half the population requires more systemic, transformational solutions for MHM and for safe and effective sanitation in public spaces. TriSan is premised on the understanding that sanitation services that meet the needs of women and girls will also meet the needs of men and boys; the reverse, however, is generally not the case. Sustainable sanitation is sanitation that meets the needs of all genders.